Stampin' Up! 's Convention 2012 was so much fun! You can see a lot of photos from convention on my Facebook Page. One of my favorite things to do at convention is swap cards. 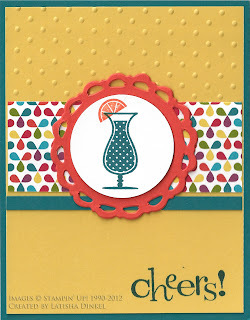 Here are three cards that all use the Summer Smooches designer series paper. I love the bold, bright colors and obviously, so do a lot of other people! 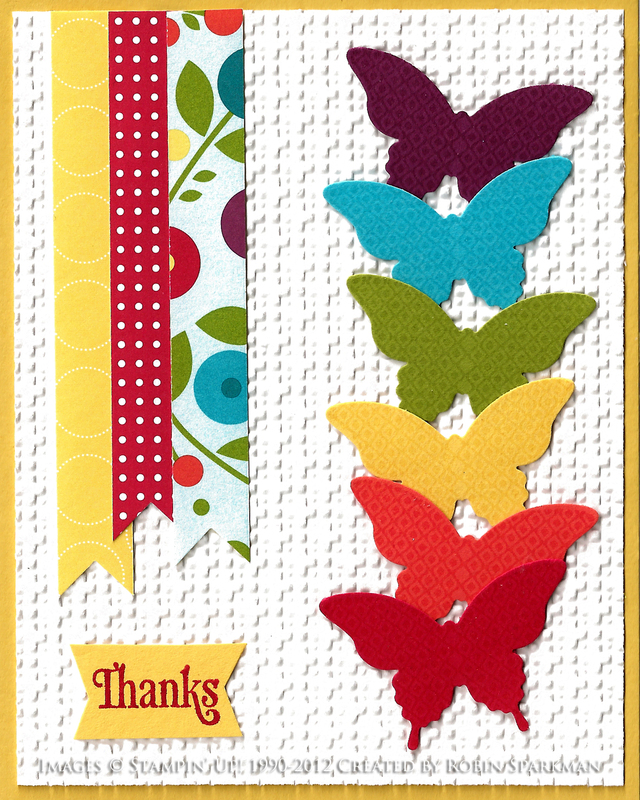 The card with the butterflies was made by my sister-in-law, Robin. 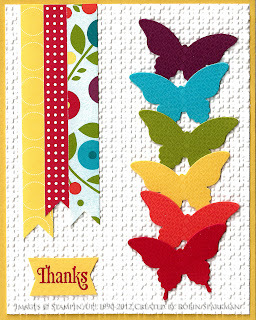 She did a great job stamping and punching out the butterflies. This card was made by Nicole. 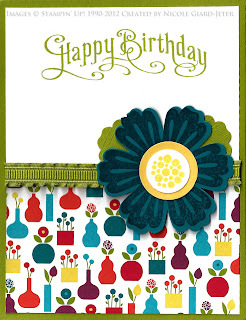 The Mixed Blossom flower is a wonderful accent on the card. 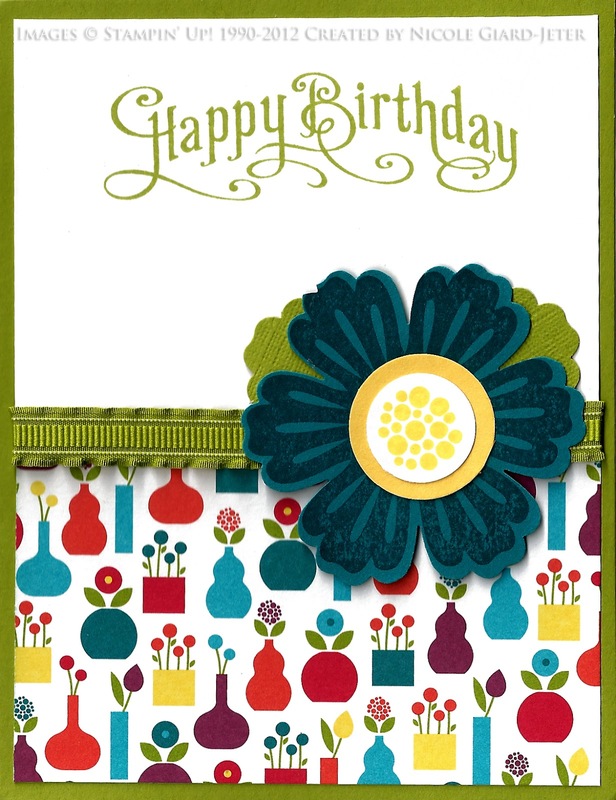 And the Happy Birthday from the Perfectly Penned stamp set fits this card perfectly. This last card was made by Latisha. 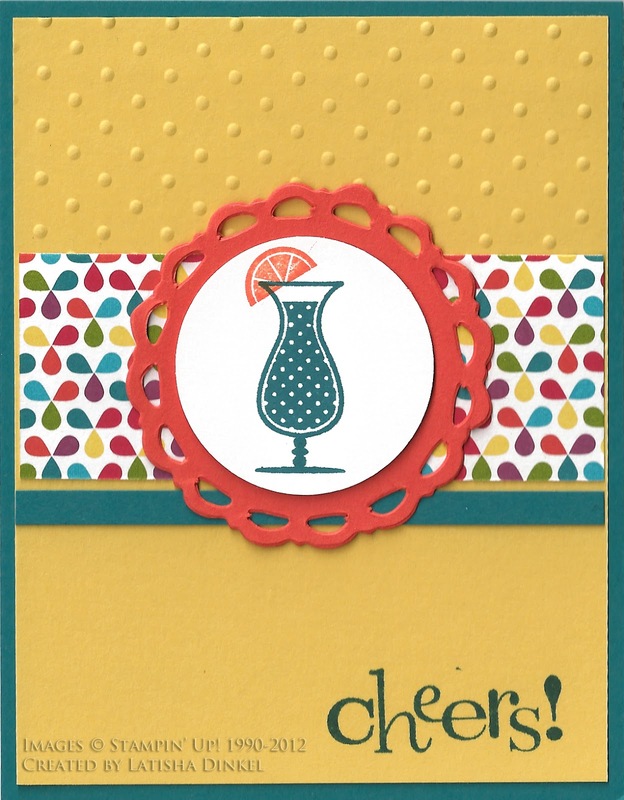 The Tangerine Tango, Daffodil Delight and Island Indigo make a very colorful card. I'll post more pictures and swaps from convention on my blog and Facebook Page this week and next. If you are interested in Stampin' Up! retired products, check out my sale this Saturday. You can get the details on my Facebook Page.